At Philadelphia Basement Systems, we can upgrade your crawl space's energy efficiency with products that are durable, long-lasting, and made especially for the crawl space environment. Contact us today for your crawl space insulation quote! 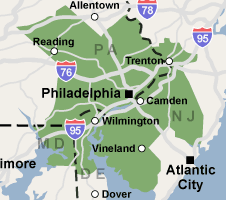 We serve Philadelphia, Reading, Newark and many surrounding areas, including Cherry Hill, Wilmington, Trenton, Camden, Bensalem, Chester, Vineland and nearby.